B2C (B To C, Business to consumer) is becoming a trend in heavy duty sewing industry. 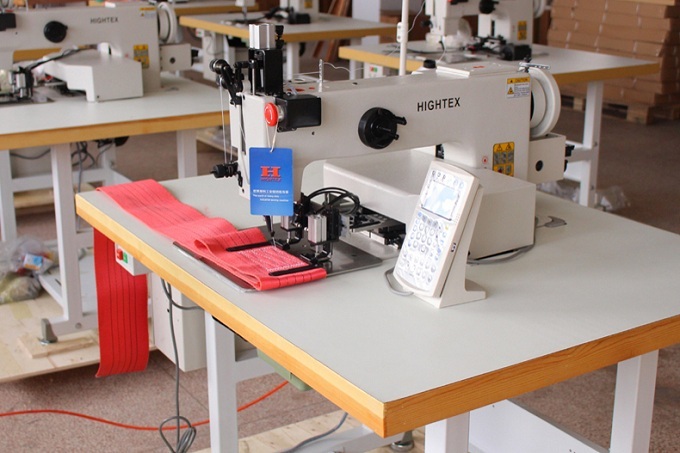 More and more manufacturers of lifting slings, ratchet straps, safety ropes, military parachutes, leather sofas and armchairs, boat sails) imported heavy duty automatic pattern sewing machines and other specialized industrial sewing equipment from us directly, for starting their own productions. Why import special industrial sewing machines from China directly. 4. Local sewing machine dealers cannot provide custom made sewing equipment, but customized sewing solutions is the most suitable product for the highest possible productivity and quality. Suitable suppliers provide the most suitable at the best prices and the most convenient time for the specific needs of your company delivers goods and services. Use the google.com is a good way to locate suppliers, such as manufacturers or wholesalers. Key factors for selecting suppliers are listed below. Once you have a potential suppliers list, you have to ask for written quotes and, where appropriate, a sample of the products you need. You can compare your service provider to see which is best for your company. If your company is beginning, a key consideration when choosing suppliers is affordability. If you are focused on managing their finances, suppliers with competitive prices are an attractive option. However, cheap does not always represent the best value for your money. If the quality of the product or service provider is bad, you could incur extra costs for returns or replacements, and the risk of damaging the reputation of your company. Reliability should be another key consideration when choosing suppliers. Reliable suppliers deliver products or services right on time, according to the descriptions given. Large suppliers are usually a reliable source because they have sufficient resources and systems in order to ensure making deliveries but something goes wrong. However, you can develop a closer relationship with small suppliers, especially if it is their main customer. In this case, your provider may respond better to different orders, such as rush orders or store merchandise. Look experienced providers who have been in business for a long time. Stability is important, especially if you are signing a long-term contract with a supplier or are the sole supplier of a particular item you need for your business. Take the necessary measures. Check your credit history provider to see if they are financially stable. Worth finding out that companies have used the services of a particular provider and ask for a referral. Think about location when choosing suppliers. Dealing with suppliers who are a long distance can mean longer delivery times and freight costs. If you need something quickly, a local provider might be a better option. But be sure to research policies freight from distant suppliers. Bulk orders, for example, could get free shipping or you might be able to combine different orders to reduce costs. Short Guide on how to prepare your order. 1. Make clear your sewing requirement to your supplier, by email, picture even video clip, make sure that they have completely understand your sewing production. 2. Select a properly industrial sewing equipment within your budget. 3. Make clear all importing costs that you need to pay. Please note that you need to pay not only for the sewing machine, but also sea freight, cargo insurance, custom clearance charges and import duty & tax. 4. Set payment method with your sewing machine supplier. Bothe local and overseas banks charge certain fee for each remittance, so for small payment (less $2000.00 USD), "100% T/T" is better for both importers and exporters. But for big payment or custom made industrial sewing equipment (need to wait for over 2 weeks), you can transfer 50% down payment same as deposit, balance payment can be paid after shipment, so called "50% T/T in advance, balance against copy of B/L. 5. Confirm your order to the supplier, you need to provide your registered company name, detailed address, Tax number (if you are from South Americas) phone number and destination port. 7. When the industrial sewing machine is ready, you let your can let your freight forwarder contact the supplier for arranging shipment. 1. Bill of Lading or Airway Bill - A bill of lading (sometimes abbreviated as B/L) is a document issued by a carrier (or his agent) to acknowledge receipt of a shipment of cargo. 2. Commercial Invoice - This is the most important document that certifies the sale as well as gives the description of the items as well as reflects the pricing or the value of the cargo. 3. Packing List - It is mandatory to put the shipping marks on all the cargo covering each and every individual piece or parcel. 1. CE Certificates - if you are from Europe, make sure the industrial sewing machine you will order meets CE marking requirements. 2. Certificate of Origin - Certain bilateral agreements and multi lateral agreements would enjoy favorable tariffs for import duties.